Due to the economic uncertainty of recent years, employers have been forced to cut down their full-time employee base. However, they have realized the benefits of bringing on temporary workers and 42 percent of employers say that they have plans to hire temporary or contract workers in 2014. With the trend of hiring temporary workers increasing comes a larger recruiting load for staffing firms. 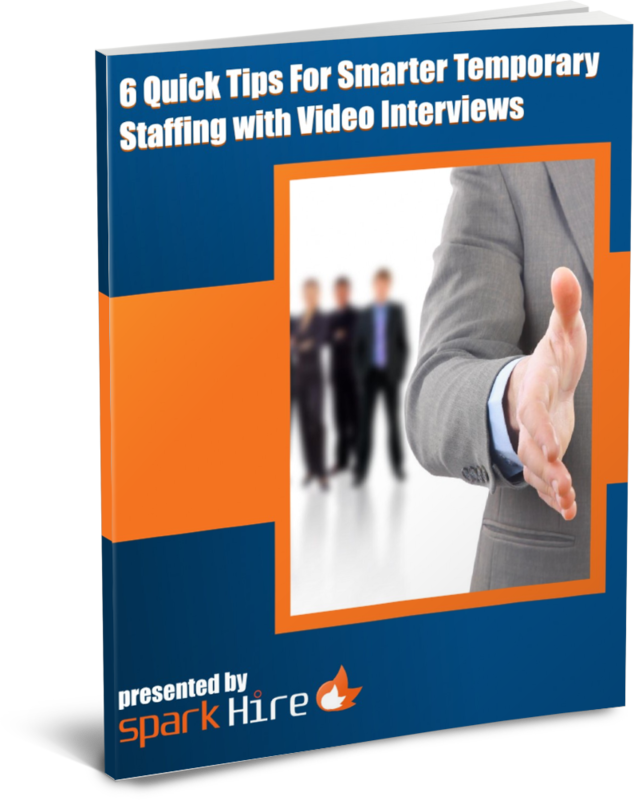 The whitepaper details how video interviewing technology can be a powerful tool for staffing firms who want to quickly and efficiently provide their clients with top-notch candidates to fill temporary positions. Staffing professionals also have the ability to share one-way and live video interviews for easy and convenient collaboration with their clients. The client is able to participate in the recruiting process and the staffing professional is strengthening their relationships with them. Furthermore, by utilizing video interviews staffing firms can develop a stronger talent pipeline which will help to increase the efficiency of hiring temporary workers. If a client suddenly needs a temporary position filled, a staffing professional simply shares a rockstar candidate’s saved video interview for consideration. Additionally, staffing firms can use video interviews to deal with the ever widening skills gap, which is estimated to encompass as much as 21 million workers by the year 2020. Video interviews can be used to identify the candidates who are interested in gaining a valuable learning experience and not just looking for a paycheck. These candidates will also more than likely prove themselves to be worthy of eventual full-time employment. 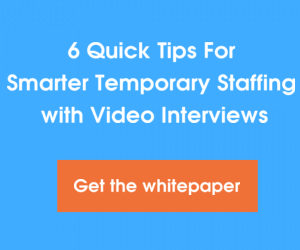 Download the new whitepaper, “6 Quick Tips For Smarter Temporary Staffing with Video Interviews”, from Spark Hire and efficiently tackle the task of recruiting the best temporary workers.